1.a. What does Baekdal contend? The article takes us on an “(unscientific) tour of the last 210 years of information + 10 more years into the future.” His chart (above) illustrates this well. He suggests that the way we receive and distribute information has a sort of ‘tidal’ quality: new waves of technology have carried in new mediums for communication. In the last decade, the tide has picked up. The tide cannot be infallibly forecasted far into the future, but Baekdal gives us a reasonable forecast that (if accurate) will affect you and me. 1.b. Is the article accurate? Most of the article deals with observable past trends, and I find the summary acceptable. Additionally, I find his forecast compelling! He seats social-networking on the throne of 2009 (with blogging, websites, and TV holding royal positions, too). He forecasts 3 main trends in the future (1) Social news – hearing it straight from the horse’s mouth; (2) Audio/Video streams; and what he calls (3) Targeted information – information automatically filtered according to your preferences (think ‘Google’). One of the most fascinating forecasts he makes deals with “intelligent information.” I’ll discuss this in a post later in this series. 1.c. Why should bibliobloggers care? I hope to flesh this out in the next two posts (dealing with how these trends might affect us and how this relates to the identity of a biblioblogger). To give a brief thought: I believe our bottom line is influence. When we write, we desire to influence. Some may be looking for popularity or readership (what’s the difference?) or “peer-reviewed” posts related to their fields, but don’t we click “publish” with the hope that somebody reads what we say? And when they read it, don’t we want him or her to respond in some way? I believe this reflects our desire to influence. If the content we publish is sound and profitable, influence is precious. If the content we publish is shoddy and poor, influence is useless. If we have no influence, our content is irrelevant. 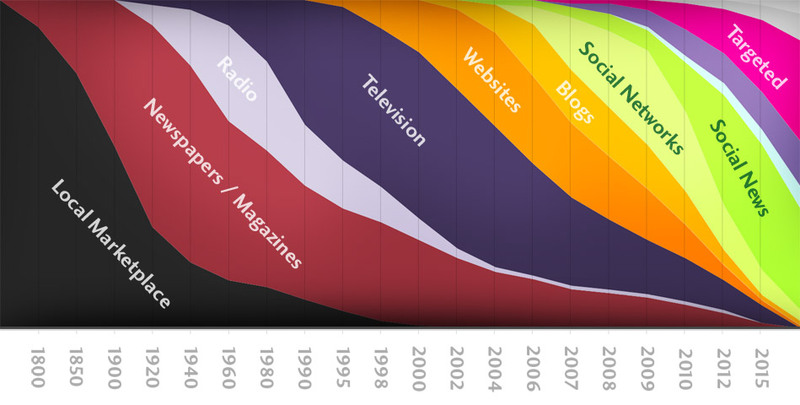 This is why media trends should matter to bibliobloggers: influence. Update: Interestingly, bloggers aren’t the only ones who care about social media. The military is pretty interested as well! hey man great to see you blogging! i added a feed to my yahoo page. thanks for stopping by my blog, man, i tried to give a meaningful response but you’ll have to determine whether or not i succeeded lol. Thanks, Mike. Your response made sense. I hope all is well at Brite Divinity School! Cameron, I think you’ve definitely outlined some potential pitfalls to popular social media. (I listed a few pitfalls here as well.) Certainly there are lots of folks out there with pink eyes (from the various screens they gaze into) and a lack of face-to-face social skills. This is bad! But I think a majority of folks still maintain regular face-to-face social interaction (at church, the mall, school, neighbors, etc.). Even so, I share your concern. I am afraid that too much ‘virtual’ socializing can lead to a lack of transparency and ‘virtual’ schizophrenia. I began to notice this while in youth ministry. The social media site xanga erupted onto the scene. It was amazing to witness the ‘split’ personalities emerge! In the case of facebook, I am a user. I think with a little discipline, such a social media site can serve to enhance communication and networking, so long as it doesn’t replace personal (non-virtual) communication. In my case, I have developed relationships that have been mutually beneficial (and otherwise impossible because of the distance factor).